The Ideapad 120s is a modern, stylish take on the laptop computer. It’s perfect for every day tasks, and the HD screen looks incredible. If you’re looking for reliable processing power combined with high performance, the 120s is a perfect companion for work and play. 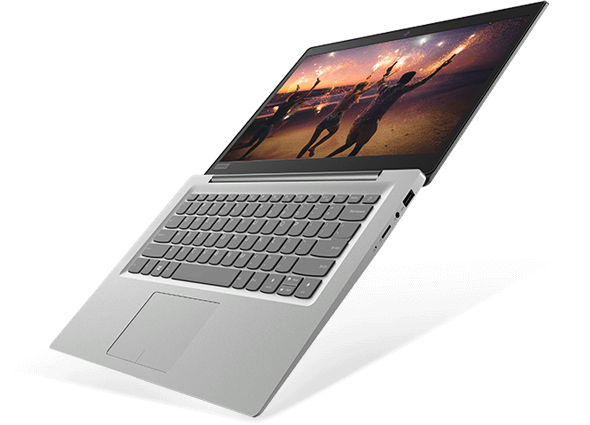 The IdeaPad 120S features a redesigned chassis with simple, clean lines — giving it a modern take on classic style. You count on your devices to keep up with you. So we applied a protective finish to guard against wear and tear. We also included subtle rubber detailing on the bottom cover to maximize ventilation and extend product life. Available in Denim Blue and Mineral Grey. Featuring a powerful Intel processor and up to 8 GB LPDDR4 memory, the IdeaPad 120S handles multi-tasking with ease. Run multiple programs. Quickly find and open files. Switch between web tabs. Browse and watch. You’ll never get slowed down. With up to 1 TB SATA HDD, you’ll have more than enough room to build your collection of photos, movies and more. Video chatting with family. Streaming your favorite show. Browsing the web. You’ll never miss a detail on the IdeaPad 120S. Experience true visual clarity with an 11” or 14” high definition, anti-glare screen. So you can lean back, multi-task, or watch with a friend. Life is hectic, and the last thing you want to worry about is running out of battery. IdeaPad 120S offers over 8 hours of battery life and can charge your other devices – even when powered off. The IdeaPad 120S comes equipped with a Type-C port for your convenience. Compatible with other charging devices, you won’t need to purchase additional cords or chargers. That’s one less thing to worry about. Need a gift suggestion? Ask Windows Cortana—your very own digital personal assistant. Cortana works with more than a thousand apps and services to ensure you’ll always have the answers you need. Best of all, it works across all your Windows 10 devices to keep you organized. Lenovo is committed to providing an uncluttered desktop and safer computing experience out of the box. We’ve removed all third party apps except McAfee LiveSafe and Microsoft Office. 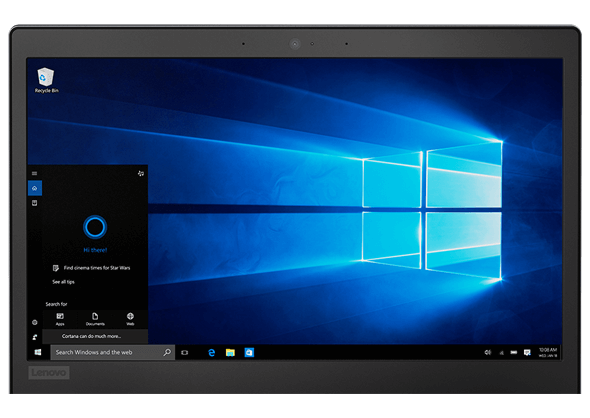 With Lenovo App Explorer, you can safely and easily discover and install only the apps you need and want. Featuring curved keys and an ergonomic layout, the keyboard on the IdeaPad 120S was designed with your comfort in mind. A one-piece touchpad also offers instant responsiveness with multi-finger gestures. Touch, click and zoom—you’ll feel the difference. 1.Ultrabook, Celeron, Celeron Inside, Core Inside, Intel, Intel Logo, Intel Atom, Intel Atom Inside, Intel Core, Intel Inside, Intel Inside Logo, Intel vPro, Itanium, Itanium Inside, Pentium, Pentium Inside, vPro Inside, Xeon, Xeon Phi, Xeon Inside, and Intel Optane are trademarks of Intel Corporation or its subsidiaries in the U.S. and/or other countries. The Ideapad 120s features a redesigned chassis with simple, clean lines giving it a modern take on classic style. You count on your devices to keep up with you. So we applied a protective finish to guard against wear and tear. We also included subtle rubber detailing on the bottom cover to maximise ventilation and extend product life. Available in Mineral Grey. The Ideapad 120s is a modern, stylish take on the laptop computer. It’s perfect for everyday tasks and the HD screen looks incredible. If you’re looking for reliable processing power combined with high performance, the 120s is a perfect companion for work and play. 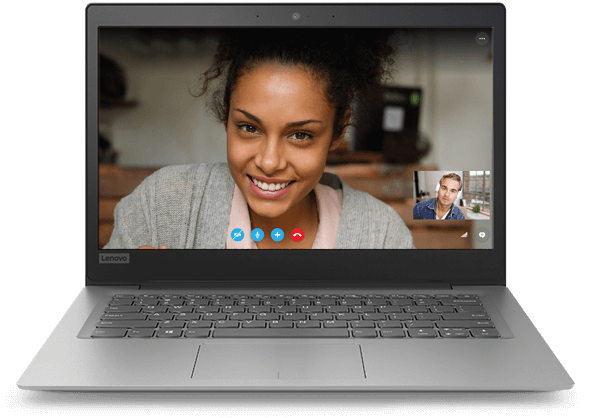 Featuring a powerful Intel processor and up to 4 8 GB LPDDR4 memory, the Ideapad 120s handles multi-tasking with ease. Run multiple programs. Quickly find and open files. Switch between web tabs. Browse and watch. You’ll never get slowed down. Video chatting with family. Streaming your favorite show. Browsing the web. You’ll never miss a detail on the Ideapad 120s. Experience true visual clarity with an 14” high definition, anti-glare screen. So you can lean back, multi-task or watch with a friend. Life is hectic and the last thing you want to worry about is running out of battery. 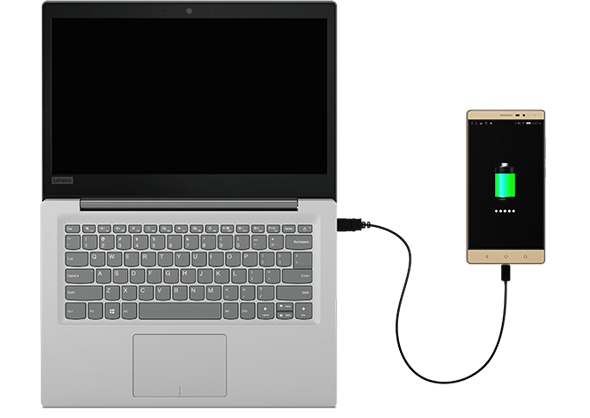 Ideapad 120s offers over 8 hours of battery life and can charge your other devices even when powered off. Need a gift suggestion Ask Windows Cortana your very own digital personal assistant. Cortana works with more than a thousand apps and services to ensure you’ll always have the answers you need. Best of all, it works across all your Windows 10 devices to keep you organised. Featuring curved keys and an ergonomic layout, the keyboard on the Ideapad 120s was designed with your comfort in mind. A one-piece touchpad also offers instant responsiveness with multi-finger gestures. Touch, click and zoom you’ll feel the difference.